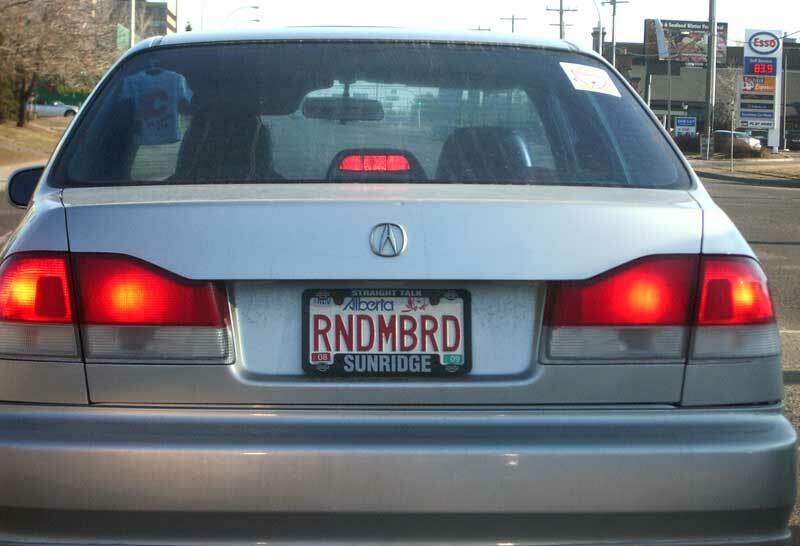 On my way home yesterday I came across a license plate I could not figure out, it was RNDMBRD. I was immediately stumped. I tried adding vowels into places and when I said it allowed it sounded like “arandeemembered”. I tried to google rndmbrd but the results were not too helpful. There was a Twitter account for Georgia Pattison and something about Bird-Shaped Tools. Following Google’s did you mean suggestion of rndm brd was still not helpful in any leads on this license plate. I can take silly vanity plates, or ones that substitute numbers for letters, but ones that I can’t decipher drive me mad. Yeah, that was my thought too. Or Random Bird. Maybe it’s Gord’s secret car.